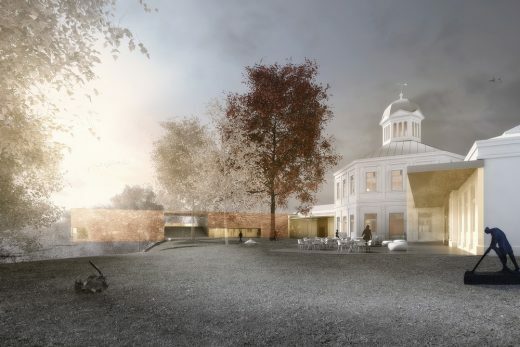 The jury voted unanimously for the vision proposed by Benthem Crouwel Architects for the renovation and expansion of Museum Arnhem. 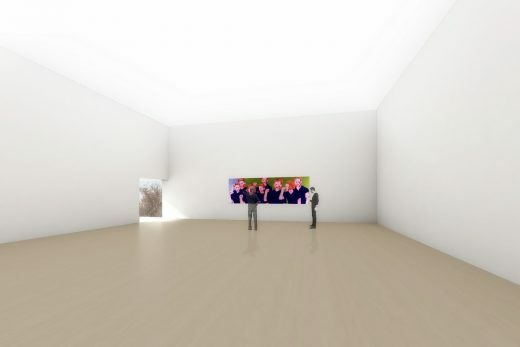 Considerations of the jury – representatives of the museum and the municipal authority – were the design’s clarity and simplicity, the preservation of the centuries-old lateral moraine, and the brilliant idea of incorporating a publicly open veranda into the new extension. 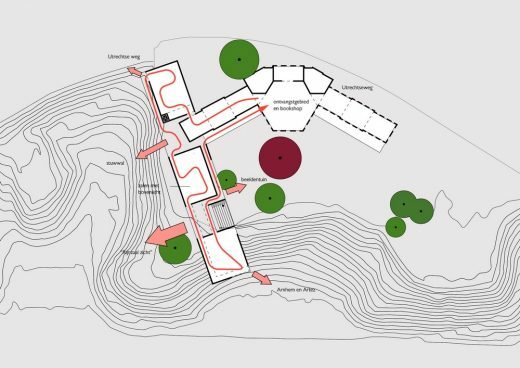 A new volume on the west side will follow the lines of the lateral moraine, thus reinstating the unity of the garden. 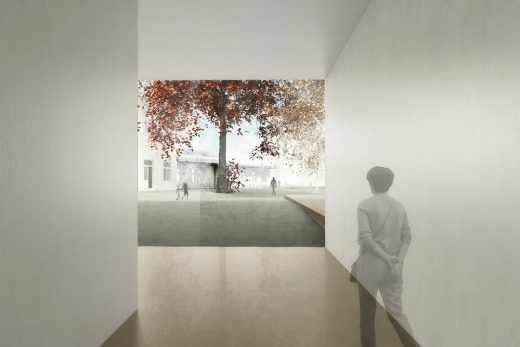 The new wing will provide views of – and contact with – the landscape in a variety of ways: the lateral moraine with its vegetation, the gardens with their sculptures, panoramic vistas of the Rhine and the Betuwe, and the view of Oosterbeek railway bridge, not to mention Arnhem’s grand skyline. 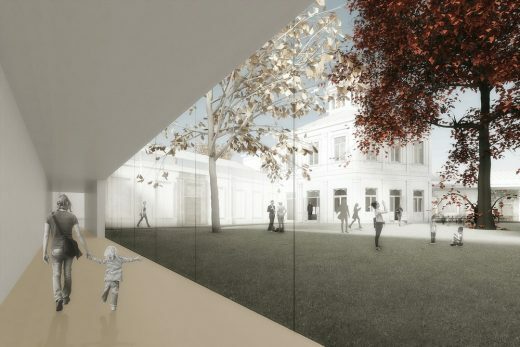 In contrast to the existing annex, the new wing will extend on both sides, and will therefore be clearly visible from both Utrechtseweg and Onderlangs. 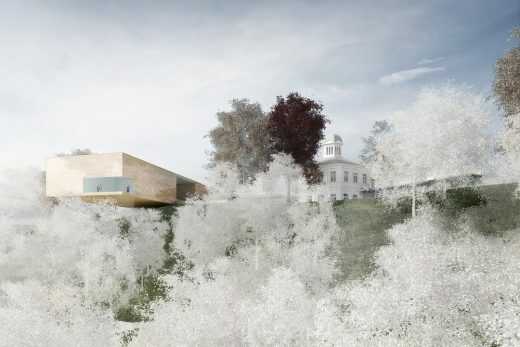 The part that protrudes on the south side, above the lateral moraine, will accentuate the differences in height: looking out over the landscape, you will have a sense of hovering above the trees. 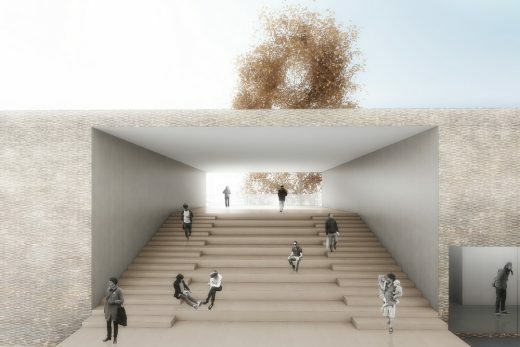 The jury report states: “The clarity of vision and the alternating views of art and landscape envisaged by Benthem Crouwel greatly appealed to the jury. 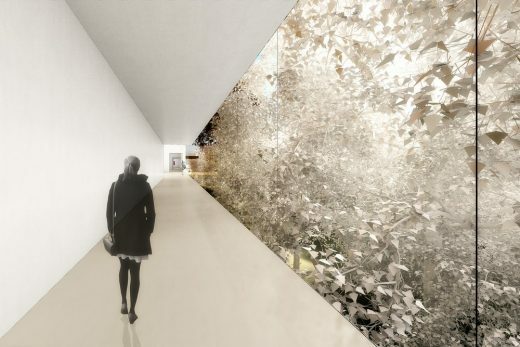 A strip with separate rooms and connecting areas will build in natural pauses. 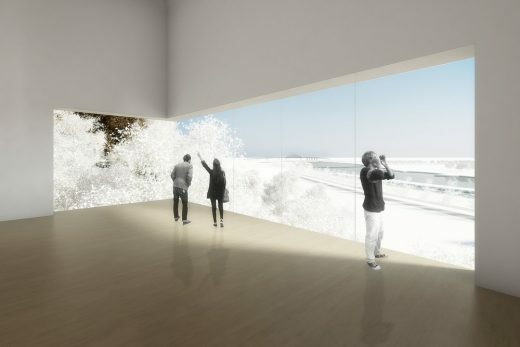 The museum enthusiastically welcomes elements such as a delightful view of the sculpture garden and fine vistas … The winning design maximises the advantages of the museum’s unique selling point, its splendid location in the landscape with unparalleled vistas.